A Natural Homemade Tick Repellent That Works! For months I have been searching for a natural homemade tick repellent. I’ve come across a lot of recipes for at-home tick repellents, but very few that cite ingredients and research. I’m always hesitant to try something if there is not enough research to prove it works – especially when it comes to my kids. Essential oils are often wonderful insect repellents, but I had heard little research when it came to ticks. I had heard that geranium essential oil has been used effectively against ticks but had seen no concrete evidence before a few months ago. Then I read this great article on the Tisserand Institute. The article cites several studies indicating geranium essential oil can be an effective tick repellent. This study examined 10 different chemotypes of geranium essential oil and found them to be quite effective. The best part: geranium essential oil is safe to use around kids. Another oil mentioned in that study is cedarwood essential oil. This makes sense to me because cedar chips are often used as a form of natural tick prevention around gardens and yards. This 2014 study indicates that Virginian Cedarwood can repel ants and kill ticks. Cedarwood essential oil is also safe to use around children. Next, I looked to the CDC’s guidance on natural tick repellents. They have a great article here that details some natural tick repellents and the research that supports them. Among these is garlic essential oil. I have never used garlic essential oil before and I’m a certified aromatherapist! Quite honestly, the smell alone is enough to keep me away. However, this article cites that garlic is most often used in lawn care. Another study I found here also confirmed the effectiveness of this oil against ticks. Garlic essential oil can really irritate skin and should be used at very low dilutions and not with children under 2. It also inhibits blood clotting, so it should not be used with people who are taking blood thinners. I feel comfortable using garlic essential oil with this recipe because it’s not intended to be used on skin, only clothes. 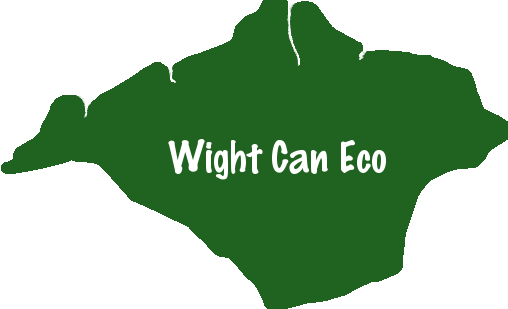 While essential oils are wonderful, they should to be diluted in a carrier oil to be used on skin or in a spray. I knew I wanted to make a spray for clothes as we do a lot of walking. Oil and water do not mix. Any time you put essential oils in water they are guaranteed to separate. However, if you mix essential oils with a bit of high proof alcohol they will disperse more easily. I typically choose grain alcohol because I can buy it at my local liquor store. You can also choose rubbing alcohol, but it is actually only 70% alcohol while grain alcohol is 95% alcohol. It will work, but not as well as grain alcohol. NOTE: This recipe is only intended for clothing. Some of the essential oils in this blend can irritate skin, but they will work great on hiking boots, pants, and shirts. Also, you’ll want to use this DIY tick repellent with adults and children older than 2. Fill a dark colored spray bottle with 1 ounce of grain alcohol. Carefully measure in 30 drops of geranium essential oil, 30 drops of cedarwood (Virginian) essential oil, and 10 drops of garlic essential oil. Screw on cap and shake or mix well. Fill with remaining 3 ounces of distilled water. Shake to mix well (shake before each use). Spray on clothing and shoes. Store in a cool, dark area away from light. Hopefully this recipe will keep you as tick-free as it does us! What if you are bitten by a tick? Katie is a wife, mother, blogger, aromatherapist, soapmaker, and lover of all things DIY. She blogs at The Wise Wife. You can also find Katie on Google+. 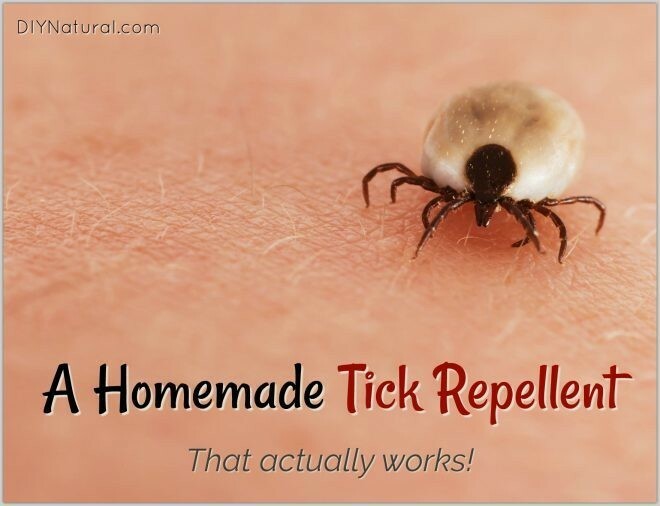 A Natural Homemade Tick Repellent That Works! was written by Katie Vance.